Last year I wrote a post about the books related to China that I had read in 2015. I decided that this should become an annual habit! So this is my list for 2016. In 2016 I read 32 books, 7 comic books (two of them in Chinese) and 2 novelettes. Not bad, eh? Three of those books were from the A Song of Ice and Fire series (a.k.a. Game of Thrones) and each of them had more than 1,000 pages. According to Goodreads (which I use to keep track of my readings), the average length of my readings was 421 pages. My year started with Nicki’s first novel! It’s a story about a woman from Gulangyu (in Xiamen) who has to take care of her family alone as her husband is away during the second Sino-Japanese war. I thought it was beautifully written and I enjoyed the story a lot. I got to know this book because I was offered to review it in the blog. It’s a historical fiction about the early life of Wu Zetian, the only empress on her own right in the history of China (Cixi was regent). She lived during the Tang dynasty, which I think everybody agrees is the coolest one. The story focuses on her adventures before she got to be empress and her life in court as a concubine. I thought it was very interesting and I loved the rich descriptions of the palaces, clothes, hairstyles, etc. And those court intrigues! It’s the second part of the previous book! It follows her adventures until she gets the throne. A fascinating account of the history of China since the end of the Ming dynasty to 1990 more or less. I mentioned it on my post about the death by a thousand cuts. If you are interested in history, you have to read it. A story about English teachers in rural China. I reviewed it here. I had been meaning to read it for ages as it’s basically a classic. The author lived in China many years and was fluent in Chinese. She won the Nobel prize in Literature in 1938. The story is about a Chinese peasant during the 1930s, his family and his conviction that his fortune has to be linked to the land he possesses. Peter Hessler is a foreign journalist who after living in China for several years decided to get a driving license and drive around the country. Then he wrote some of the stories he experienced. Very entertaining. 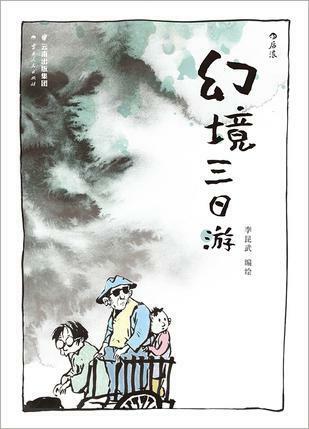 A new comic book from the author of A Chinese Life (which I also reviewed here). It’s about a trip to hell that the author does accompanied by an old lady and a child. It’s a bit strange, and adding the fact that I read it in Chinese, I’m not sure I understood it completely, haha. There were many references to Chinese mythology and beliefs. A very interesting science fiction novelette. I loved the premise about a city (Beijing) divided in 3 zones (for poor workers, middle class and elite) that literally folds and unfolds. You can read it for free here. It won a Hugo prize. The other novelette I read. It won prizes too but I didn’t like it that much. It’s about a Chinese American boy and his relationship with his mother. You can read it for free here. Ken Liu is also a translator and translated into English the Chinese science fiction trilogy The Three Body Problem. Lu Xun is considered one of the first modern writers in China and his short stories are very well known. I normally prefer longer stories as I can bond more with the characters, but this is a classic of Chinese literature and I just had to read it. Finally! The third part of the Three Body Problem science fiction trilogy was published in English last September and I could finally read the end of the story. I vehemently recommend it (the full trilogy). 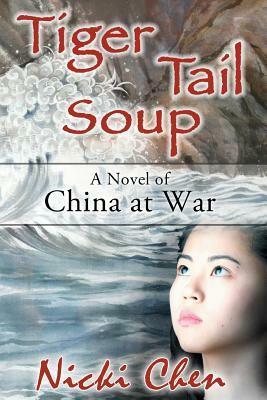 Maybe because of the title I expected something different, like stories about different women in China, in general. But all of the stories are sad and tragic and seem to imply that “men are the cause of all of women’s problems and tragedies”. So I didn’t like it as much as I expected. Xinran was a radio journalist in China during the 80s and 90s and had a program about women, so she got to know many women and their troubles. I have a few dozen books queued on kindle and on my bookshelf but I always welcome recommendations! Did you read anything interesting this year? I’ve read a bunch of those this year too! Great list. I’m gonna order that In Search of Modern China book as a late Christmas present to myself. Good list. I’ll check out some of the books since I’ve only read a few like Good Earth and Country Driving. Thanks for posting the links to those award-winning short stories. Thanks for the recommendation! 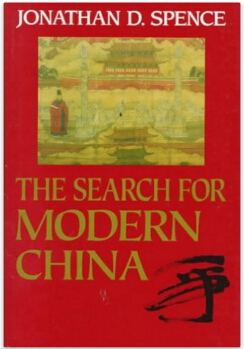 I’ll have to put “The Search for Modern China” on my Goodreads list. Right now I’m reading N.K. Jemisin’s Inheritance Trilogy, which is excellent. Thanks for the recommendation! I enjoyed the series from Lois McMaster Bujold that you recommended once. Bien, ¿y tú? ¿Sigues en España? Donde puedo comprar bragas en España? Que tienda es mejor? Gracias! Depende del estilo que te guste, ja ja. Puedes probar Oysho o Women’secret. Tenemos Women’s secret! Bueno, no en nuestra ciudad pero cerca! Que estilo es mejor? Gracias, eres simpática. Yo sé que es extraño, un chico llevar bragas para mujeres! Thirty-two books! That’s amazing. And congratulations on reading a book in Chinese. I don’t count the books I read. Maybe I should start. Thanks for your kind words about Tiger Tail Soup. I’m glad you liked it. I’ve read a few of the books you list: The Good Earth and The Search for Modern China, both of which I read a long time ago. There was a time when I read a bunch of Pearl Buck books. 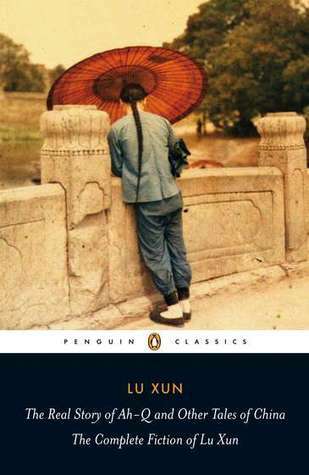 I’ve also read Lu Xun’s short stories. Since I was a kid I always had this obsession with keeping lists with the books I read and the movies I watch. Now there are many websites and apps that help me keep track! All look like wonderful reads! Alas I’ve become more of a TV addict rather than voracious reader – terrible, eh? Hehe, it’s fine. I also watch several tv series. And I’ve watched less movies than I would have wished! Was chatting the other day about how TV and webisodes is today’s generations books… a window into another world, another reality, another way of thinking. What I actually appreciate about Netflix is that it truly is global – bringing content from Brazil to India, for example. Like this idea for a blog post! Mind if I steal it? I’ve read a bunch of good ones and a few that, well, I’d feel embarrassed if anyone saw on my kindle! Sure, I’d be interested to see your list! And there’s nothing to feel embarrassed of, haha! You like what you like! Haha, nah, I also read books that don’t have anything to do with China, but in the post I only put the ones that do. Lately I’m interested in science fiction and fantasy but I read basically anything! I hear ya. Love to read, and love to read everything…hello shampoo bottles! I’ve read just one of those, and another 3 are on my reading ‘wishlist’ (90 books long at present). Also, I see you’re reading San Mao at the moment, it’s one of the 3 Chinese books I’ve started but not got around to finishing. When you read in Chinese, do you stop to look up words and make vocab lists or do you just skip over the unknown words? I try to make vocab lists, but then reading becomes quite a chore and I end up with more notebooks full of vocab that I never go back and revise! Which San Mao book are you reading? A few years ago I read 撒哈拉的故事 and I enjoyed it a lot (San Mao was married to a Spanish guy and they lived in Western Sahara when it was still part of Spain). The one I’m reading now seems to be a collection of short essays, I prefer longer stories. When I read in Chinese I almost never look up in the dictionary. I just try to deduce meaning based on context, or try to understand the sentence or paragraph globally. I want to read for pleasure, and yes if you have to look up words, make lists, etc… then it’s not a pleasure and I won’t feel like reading much anymore hahaha. The same as you, 送你一匹马. I will give it a go, but the languages student in me just wants to read and understand every word!! Haha, that’s another way of doing it, but then it’s more studying than reading! I don’t have the patience for that anymore! Marta. I kept this post to refer to it and I forgot to mention I read ‘the barefoot lawyer’ last year. A great book about a blind Chinese self taught lawyer who was imprisonrd by the Chinese for helping out other disabled Chinese and escaped to the USA via the US Embassy in China. Sad as he talks about the treatment of the disabled in China not that long ago. Ah, I remember the news about him escaping to the USA, that was just a few years ago! I didn’t know there was a book about him. Yes it’s sad but good.